First published in 1975, Animal Liberation created a sensation upon its release, shaking the world's philosophical and animal-protection circles to their cores. 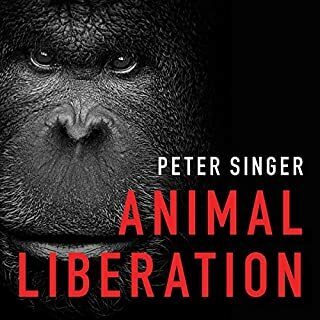 Now, 40 years later, Peter Singer's landmark work still looms large as a foundational and canonical text of animal advocacy. Arguing that all beings capable of suffering deserve equal consideration, Singer contends that the only justifiable treatment of animals is that which maximizes good and minimizes suffering. His quest for answers ultimately required him to visit factory farms in the middle of the night, dissect the emotional ingredients of meals from his childhood, and probe some of his most primal instincts about right and wrong. Brilliantly synthesizing philosophy, literature, science, memoir, and his own detective work, Eating Animals explores the many fictions we use to justify our eating habits - from folklore to pop culture to family traditions and national myth - and how such tales can lull us into a brutal forgetting. Marked by Foer's profound moral ferocity and unvarying generosity, as well as the vibrant style and creativity that made his previous books, Everything Is Illuminated and Extremely Loud and Incredibly Close, widely loved, Eating Animals is a celebration and a reckoning, a story about the stories we've told - and the stories we now need to tell. Powerful truths that most don't want to hear yet will change you views if you allow yourself to feel. As the author points out within the piece, I picked up this book with the expectation that it would be a straightforward case for vegetarianism. I'm pleased to find out that I was wrong. Of the handful of books I've read on the subject of animal agriculture and food production, this has been by far the most even-handed. Does he have an agenda? Sure. What writer doesn't? But he is relatively fair in its delivery. For example, within books of this type, it's exceedingly rare to find a well-written, logically-convincing, morally-reasonable passage written from the point of view of someone in the meat industry. There were multiple in Eating Animals, which I appreciated. I'm willing to listen to anyone who can present a PETA activist, a normal citizen, a local farmer and an industrial agriculture businessman within the space of 50 pages, and allow each of them to sound equally reasonable (albeit in very different ways). My only problem with this book was the narration. I'm relatively new to audiobooks -- I've read fewer than a dozen. I thought perhaps it was just my inexperience in the medium that made this narration so jarring to me. The narrator has unnaturally long pauses between words and sometimes seems to emphasize the wrong word within a sentence. It makes it harder to listen to. 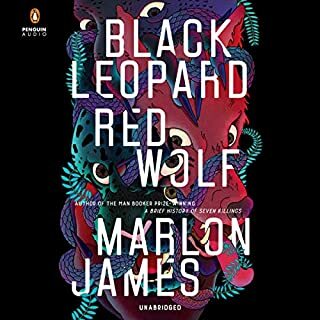 That said, if you're genuinely interested in the topic, the narration shouldn't be enough to deter you from reading this book -- the writing was strong enough to make up for the poor delivery, in my opinion. Must Read-this book changed my life! What made the experience of listening to Eating Animals the most enjoyable? What other book might you compare Eating Animals to and why? No, this is my first book by Ross. He did a great job. The evil of corporate factory farm. In the interest of making a few dollars, animal suffers, people eat unhealthy meat and cause environmental catastrophe. I am so glad that I stubble upon this book. It changed my eating habit and my life. I am now a vegetarian (I have stopped eating all meats and most dairy products. I will stop eat egg white and cheese soon) with the full intention transition into a vegan in the next few months. I am doing this slowly so it can be a sustainable lifestyle change for me. Most of us sort of know about these compelling issues (animal suffering, personal health and environmental concerns) why we should not eat meat. Like most Americans, I did not wish to face it. I was in DENIAL. This book made me take a much closer look of myself and helped me to discover my inner compassion for the animals. It brought tears in my eyes and mad as hell! It helped changed me from being part of the problem and empowered me to be part of “solution” by “opt out” of mainstream, big corporate food system. If you have an ounce of compassion for the animals we eat; a slight concern about your personal and your family health; and passionate about saving our environment, read this book and then your heart will direct you to do the “right thing”! The author does a fine job here presenting the information in a well thought out and balanced way. 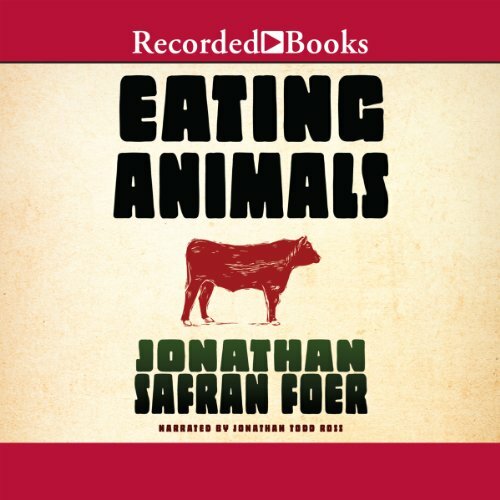 Yes we have heard many of these horror stories about the factory farms and slaughter houses before and yet Jonathan Safran Foer presents all this in a provocative and dare I say friendly tone. 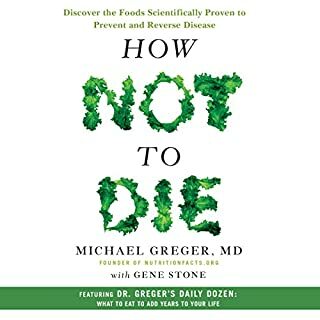 This book actually caused me not only to think more about options but motivated me to make changes in the ways in which our household eats meat. At first listening to thiese atrocities I felt powerless because we are meat lovers. We are not going to choose to become vegetarian yet I can no longer buy these factory farmed animal products. Listening to this book has reminded me to be a better consumer. If we are going to eat meat we better be prepared to pay more for locally grown meats that come from small farms where the animals are treated kindly and in a humane fashion. I now am going to find out where the local slaughter houses are and be sure that any meats we consume are slaughtered in a humane way. So although this book was not fun or at all enjoyable I am glad I had a listen and I truly thank this author for reminding us to do the right thing and support our local family farms and encourage these farms to treat their stock with dignity and decency. This book was a difficult yet interesting listen, well worth the credit. If you are curious at all about what goes on behind the scenes in the production of meat or if you want to understand the ethical, environmental, and epidemiological concerns of the meat industry then read "Eating Animals". I've read a few books on this subject already (Peter Singer, Gary Francione) and would recommend this book to anyone, particularly to those who are apprehensive about reading about such dark matters. Foer's style is engaging and highly readable. Though it's a book of investigative journalism it can also be enjoyed for its autobiographical digressions, philosophical speculation and Foer's fair treatment to the different actors in this drama. This book is groundbreaking in revealing a dark side of human behavior and an industry that most people view as benign or is invisible. The parental command "Eat your food!" takes on entirely new meaning with this book. In a sense, it picks up the thread started by Upton Sinclair over 100 years ago, revealing examples of unbelievable human behavior and greed in the factory meat industry, first described in SInclair's The Jungle. The book is very well written, well documented and technically correct. After listening to the audiobook, I bought the hardcopy to verify his references. 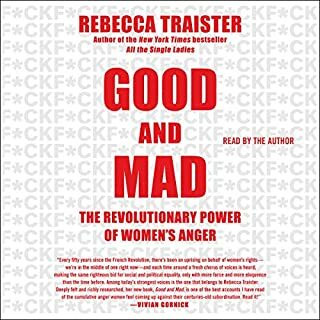 The audiobook is well spoken and does not indulge in theatrical voicings like some nonfiction book readers like to do. Foer develops two critical questions that impact individual health and character, and the well being of society as a whole: 1) is it possible to raise and then kill sentient animals for food in an ethical and humane manner; 2) if so, how do we do that? He does not preach answers to either question, but explores the thinking and emotions behind those issues. It is perfectly conceivable that a meat loving omnivore would read this book and choose not to change eating habits; but no thinking person could read this book and then fail to question the culture and institutions that put her meat on the table. If you are interested in the relationship between what you and your family eat and your health, and in the ethical quality of the institutions - governmental as well as corporate - that subsidize and invest in the factory farming industry, you must read or listen to this book. Then see the the movie Food, Inc. I don't know if Foer and Kenner worked together to make a package, but Foer's book and Kenner's documentary synergize for an astonishing impact. This book wasn't what I expected it was going to be but then again, it wasn't bad either. Just be sure not to listen while eating food that had parents A.K.A flesh as some parts may gross you out when you find out how cruel the corporate killing can be. Powerful...this book will move you. This book is not for the faint of heart. It exposes the factory farm system of meat supply in our country. If you are concerned about your personal health, the environment, and what you eat on a daily basis this book has things you need to know. Foer intersperses these accounts with personal and engaging stories about his personal life so it is not a total gloom and doom experience. I hope his book will have an equal or greater effect than Upton Sinclair's The Jungle did a century ago. It is an interesting and worthwhile read. I'm going to have to chew on this book for a bit. I'm not sure an audible review posted the day after listening/reading will fully capture what I plan on doing after 'Eating Animals'. I might be about ready to go veg, but there is something annoying enough about JSF (I've always been a little annoyed by JSF) that almost wants to keep me eating meat just to piss him off. Nah, that really isn't true, but I do wish it was. The book isn't as well-written as I would have liked. It gave me what was important, but just not in the portions or the way I would have preferred. The book's narrative shifts were a little confusing. At times, I didn't know if JSF was trying to produce an academic discourse or a philosophical screed. In total, I guess it worked, but JUST barely. For me, 'Eating Meat' was held together more by the power of the message than the way that JSF cooked the message. To be fair, I did really like Foer's ideas/themes of creating new stories of food and his idea that animals are often recepticals of our forgetting. I thought that was the strongest piece of his whole book. Anyway, off to bed. I'll dream of factory slaughtered turkeys and hogs and wake tomorrow ready to think more about this book, the Animals I eat, the resources I waste, and what I plan on doing for the rest of my life in relation to the meat I eat. We will see what tomorrow brings. Less polarizing than the rest? 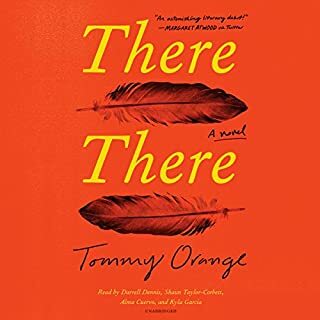 This book began as a story about eating animals, proceeded as a semi-objective look at the human relationship to animals used as food, but somewhere in the middle it began to sound preachy. Don't get me wrong: I think it is a delicate tightrope balancing act to try to divorce feelings and politics and tradition from the realities of the factory farming of animals. So even when I agreed with much that was being said, it felt like there was an agenda at times. In the end, however, he brings it all together very well, and it finally feels less polarizing. We can all benefit from the truth -- whether we agree with the author's personal conclusions or not. 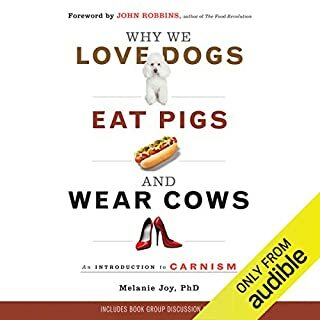 This is an important book if you care about forming your own conclusions, rather than just eating whatever the meat industry puts in front of you. Most things that matter aren't easy, though. What did you love best about Eating Animals? I loved the mixture of storytelling and research. I learned so much without feeling preached to. I felt inspired to do better after reading Eating Animals. It was encouraging without being judgemental. Which character – as performed by Jonathan Todd Ross – was your favorite? I cannot remember her name but it would be the vegetarian wife of the rancher. She explained herself perfectly. If you could give Eating Animals a new subtitle, what would it be? After reading countless reviews about this book I was shocked to see how critical some people are. Jonathan was described as arrogant by omnivores and a fake by vegans. Nowhere did I find Jonathan to be condescending or judgemental. He was simply educating me as a reader. As for being labeled as a fake because he isn't 100% vegan 100% of the time I think that's shameful. He has reached more readers than any other vegan I know and has definitely changed my view on eating meat. I've by no means given it up but I've found an alternate source from a small farm nearby my house where animals aren't treated like inventory. I also think before I buy/consume meat and see it in a whole new light. I really appreciate him doing all of the leg work and sharing what he's learned. At the very least it will enlighten you.